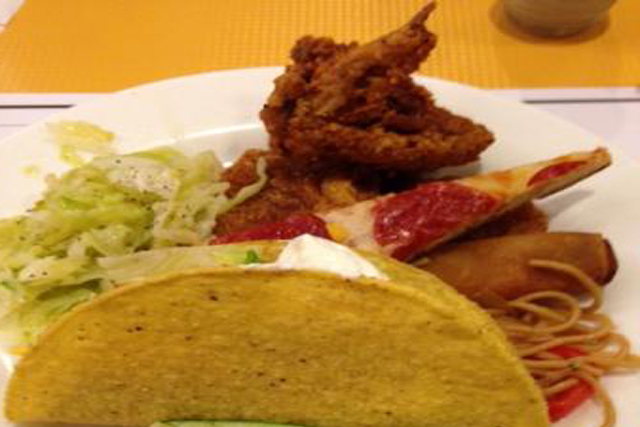 The Feast Gourmet Buffet offers an excellent meal at bargain basement prices. Located inside Palace Station you will find many of the traditional dishes that you know and love, as well as some new favorites that you experience for the first time. Opening at 7AM, the Palace Station Buffet is open for breakfast, lunch, and dinner. On the weekend from 7AM to 4PM, you can enjoy a fabulous brunch with specialty options that are not available on the weekdays. You will be able to select food from a number of live action stations. There is a carving station with beef and other meats available. 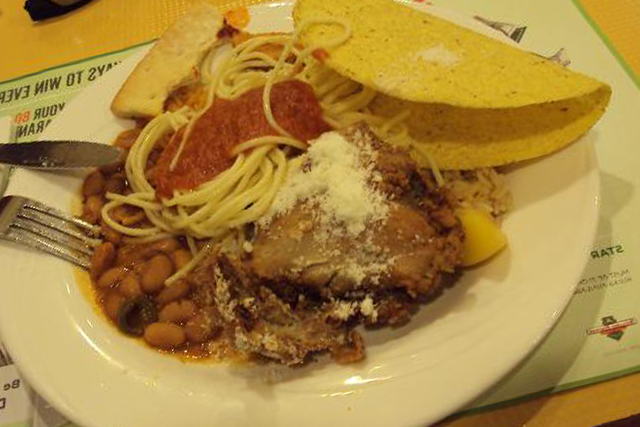 Additionally, you will be able to choose a number of fruits, vegetables, sides, and other items from the large salad bar, and the hot and cold buffet tables. You really cannot go wrong with the large number of fan favorites and food styles that include Mexican, Italian, American, and Chinese. Chicken noodle soup is just broth and a bag of frozen veggies , no chicken and no noodles and this was right after they put a new batch out. The fried chicken was just legs and thighs . The carving station was roasted chicken pieces and again just legs and again just legs and thighs, and ham that was more fat then meat. I would recommend spending a few more dollars and going to a different buffet . This is the place to go for food and great Barbecue. I love there ribs and sausage and Pizza it is great!!!! So if you want great food and affordable for the family go to the Feast buffet at Boulder Station.